You're at a funeral. You're looking at a satin-lined box. It's open, or it's closed. Inside is a body made up to look like a facsimile of the living person it once was. Or maybe you're looking at an urn, or some kind of black box, filled with cremated remains. The funeral home is filled. The service hasn't begun. You listen in on conversations. Vague murmurs begin to disturb you. You hear a familiar name. An organ begins to play. Family files in. You know these people. The minister or rabbi or imam or funeral home presider assumes position. You have a strange, disembodied feeling, and then you understand. Yep, that's right. Stephen Covey wants you to imagine your own funeral. 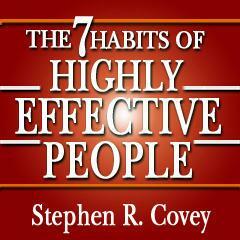 Habit #2 of the 7 Habits of Highly Effective People is Begin with the End in Mind. Macabre? Perhaps. Oddly satisfying? Maybe. Disquieting? Uh-huh, sure. But to achieve Habit #2, you gotta. He wants you to not only picture your funeral, but also to imagine each speaker. Pick a family member, a friend, someone from work, and someone from a religious or community organization with which you're involved and imagine the things each of these people say about you. Write your own freakin' eulogy, even. 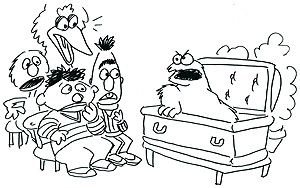 Now, I'm not going to tell you about my funeral. Not that I'm shy, exactly. Not even that I'm aware it would be extremely boring to read. But because shades of my junior year abroad at Oxford waft over me. I actually did imagine my funeral. Or close to it--my death bed, with all my bestest buddies and some family ranged around me, all telling me they loved me and being generally devasted by my demise. Just a little depressive, okay possibly suicidal, reaction to leaving my familiar terrain, all my friends, and a boyfriend so that I could live in a basement room and write essays about English Lit. Actually, the year was great overall. That first term, though. Ugh. Well, my tens of readers, the reason is that by so doing, by engaging your imagination and your conscience in this exercise, you will uncover the values and principles that matter most to you. And also because Stephen Covey says that if you do this, you will have defined success. He says it right on p. 98. "If you carefully consider what you wanted to be said of you in the funeral experience, you will find your definition of success." I am telling you, I may not get through this step. I mean, shouldn't I just look for a job? But wait. If I do this exercise, I will get something much better than a job. I will get a PC life. That's right. A PC life. PC as in "principle-centered," not as in "politically correct." And a PC life is much better than your basic money-seeking, self-centered life. And here may be the root of my problem. I suspect that I don't have any values or principles. Also, I have a certain skepticism about what people say at funerals being the unvarnished truth about the deceased. I mean, it's usually pretty varnished. I mean, think of Tom Sawyer and how he got talked about at his faux funeral. Everyone in town suddenly weeping all over themselves when just days before all they wanted was to hide and tan a little piece of that rapscallion. How could I trust my imaginary funeral-goers to tell the truth? Wouldn't they be varnishing me? And since it is all in my mind anyway, wouldn't I be varnishing myself? Um. Yes, I do see my flawed logic. Okay, look, having spoken to various professionals at various times in my life, I am aware that I am avoiding something here that might actually be fruitful. So if you'll do it, I'll do it. At any rate, I'll keep on trucking through Covey's book. Because, gosh darn it, I want to be "effective." (In my best whiny voice) I don't feel like doing it, Hope. You had me at "shouldn't I just look for a job?" I was a sufferin' succotash speechwriter for nearly a decade; writing speeches for my funeral is just too much like work. I suspect we both don't care what people think about us, whether now or after we depart. So imagining what they'd say at our funeral won't be an exercise in defining success, only an exercise in unearthing all the petty annoyances committed against me that I've tried to bury in my flee from bitterness. At this point I'm glad I didn't bother reading Covey's book, but I'm grateful there's you to do the dirty work for us. @Scrollwork, I will keep at it, so you don't hafta! I guess I don't care, on some level, what people think of me. If I cared more, I'd be doing different things with my life, more along the traditional lines of success, I think. But I do want people to think I'm a "good" person. Whatever that is.